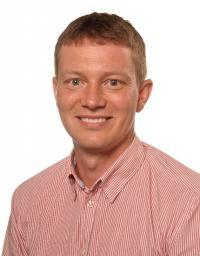 Kim Jensen is Associate Professor at the Biotech Research & Innovation Centre (BRIC), Universty of Copenhagen, Denmark. Here, he talks about his scientific career past, present and future in the field of epithelial stem cell research. What fascinates you about biology? I am fascinated about how tissues are initially formed. Tissues grow quickly, but reach a point where growth and development slows down and the tissue is able to carry out its adult function. Homeostasis describes the controlled balance or equilibrium that tissues achieve after they have grown so that they function well. This control is lost in disease states such as cancer. My lab is looking at this process using model systems. Our focus is the epithelium of the skin and the intestine. How did you start out in science and where did this take you? My first major step into science was studying Chemistry and Biology at the University of Aarhus in Denmark. I felt there were many unanswered questions in biology that required attention, so I embarked on a PhD in Molecular Biology at the Department of Molecular and Structural Biology, University of Aarhus. My project focused on developing a method for analysing the protein composition of cell surfaces. Such proteins are termed molecular markers and can be used to study particular cell populations in healthy and diseased conditions. I realised that this technique was highly valuable, but needed application within a field. The biomarker technology I developed during my PhD was something I wanted to continue and apply to the study of epidermal keratinocytes. Beginning life as a stem cell, these cells become specialised skin cells that are vital for separating and protecting us from the external environment. I was aware of Professor Fiona Watt’s research focus on stem cells in the skin and I decided to approach her at a conference. Fiona was happy to welcome me to the lab on the condition I sourced my own funding for the project. Fortunately funding was available from the Carlsberg foundation who supported Danish researchers to study abroad. This allowed me to continue my research in a post-doctoral position after finishing my PhD. During my post-doctoral position, Fiona and the lab moved to Cambridge University. This was a perfect opportunity for me to expand my knowledge of molecular and cellular techniques and brought me to the forefront of stem cell research. 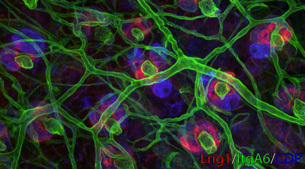 Using animal models, I identified a novel marker that was expressed in both mouse and human epidermal stem cells. I was fortunate this discovery was published in a well-respected journal soon afterwards. Almost at the same time came another crucial step in my career. I was awarded a Wellcome Trust Career Development Fellowship enabling me to establish my own research group at Cambridge University. I could not stop smiling following my new-found independence. This allowed me to take my ideas forward to new and exciting areas of research. What important decisions did you make during your progression as a scientist? A defining feature of success is choosing the right scientists to join your group. This is particularly important in the initial years of establishing a group and will define how well your career and your lab will progress. As a young group leader, having instrumental mentors will make all the difference. Following the recruitment process, I took on board a research assistant who was absolutely fantastic. She made all the difference and propelled one of the initial projects forward, which we were fortunate to publish in Nature Cell Biology. PhD students are also vital contributors to scientific research. After taking on two new students, I decided to move from the Anne McLaren laboratory for Regenerative Medicine to the Wellcome Trust - Medical Research Council Cambridge Stem Cell Institute, which gave us access to additional facilities and equipment previously unavailable to the lab. Both students began successful careers in science, each with first author publications in Cell Stem Cell. After my students graduated, I moved to Copenhagen. This was defining for the next step in my career because I could show that I was able to succeed in an environment outside of Cambridge. I developed important collaborations with clinical partners in Copenhagen. These collaborators provided us with human tissue from tumours of the skin and from patients suffering from inflammatory bowel disease. In 2014, I received the Gold Award from the European Society for Dermatological Research in association with LEO Pharma Research Foundation for outstanding research on epidermal stem cells and mechanisms underlying disease development. It was a great honour that our work was being appreciated in a clinical setting and recognised by others. What would you like to achieve over the next few years? My lab’s current focus has lead me into the gastrointestinal field which allows me to be recognised independently of previous supervisors. As part of the new European Consortium INTENS, I hope that in the next five years we will see great advances towards cures for inflammatory bowel disease. With the development of current technologies, our aim is to produce large quantities of cells from the skin or intestine which would serve essentially as living plasters. However the biggest challenge is generating mature tissue from fetal cells or induced pluripotent stem cells. This is a problem that my lab and several others are currently aiming to overcome. What advice would you give to a young scientist near to finishing or having recently finished a PhD? Before finishing your PhD, you need to think about what you really want out of your career. Make the most of searching and asking around before you enter your final PhD year. I approached Fiona a year and a half before I joined her lab. At this point, a supervisor is much more likely to say yes. After finishing your PhD, I would advise leaving your PhD lab. It may be tempting to stay for a while, but the clock starts ticking as soon as you graduate, especially if you want to stay in research. The Wellcome Trust, Medical Research Council and European Research Council offer funding to PhD graduates within 6-8 years of completing a PhD. If you are not eligible for such awards, it becomes very difficult to source funding for starting a lab. However staying in academia is not the right path for every PhD graduate. The mantra in my lab is that I only want people who smile, and they must not complain too much. This makes for better science. This article was written by Rosie Owen, CRM, University of Edinburgh.